I went and checked out Fieldays 2016 held in Hamilton. I went and checked out the 2015 Fieldays, and found a rather good looking giant pumpkin. 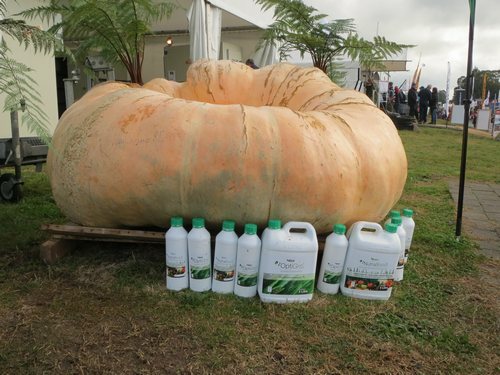 I visited the 2014 Fieldays yesterday and as well as massive crowds and lots of walking, I saw a giant pumpkin and spoke to two businesses with great product for giant pumpkin growers.